Get the storage, durability and functionality you need, combined with beauty and your personalized style. From traditional to contemporary style, Badger Corrugating offers a large selection of quality cabinets. The options are endless to create the space of your dreams with the Badger design team! Let us help you turn your kitchen, bath or living space, into a beautiful, comfortable and functional space. Find your style – choose from modern, arts and crafts, transitional or traditional collection. Complete the look with the perfect color and details. Take advantage of stock inventory, or specialized custom products. The options are endless. 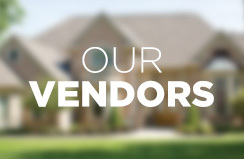 Badger’s experienced design team specializes in helping you selecting the right products and designing the kitchen or space of your dreams within your budget. Creative and innovative, as well as responsive and reliable, our team will work with you every step of the way, providing personalized service and attention to detail. Starting with initial concept meetings, viewing samples and discussing options, then a customized 20/20 layout design will provide realistic drawings to bring your vision to life as quality products and designs come together ready for installation. Together with 48 years of design experience, your dedicated designer is always available to answer any questions and guide you through the process. Kitchen and bathroom cabinets from Diamond feature designer-inspired finishes, modern innovation and superior durability to help transform a bland room into a perfect room. Beauty. Function. Strength. Performance. You’ll find these values built into every Diamond cabinetry product. Together they make up our Forever Quality Assurance. Value focused and quality driven since 1975. 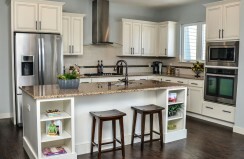 Countryside Cabinets manufactures semi-custom built-to-order cabinetry with fine craftsmanship and quality. Design your perfect kitchen and choose from endless options: 36 wood door styles, 8 wood species, endless finishes, overlay and storage options. Warranted against defects of material or workmanship for 10 years.